Robak Igor doctor of history, Professor. 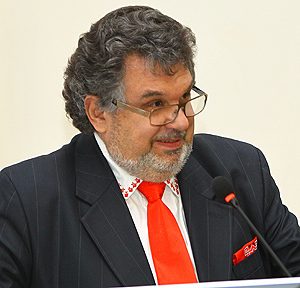 Ph.D., senior lecturer Demochko Hanna – responsible for educational and scientific work. Department offers a great variety of subjects: “History of Ukrainian Culture”, “History of Ukraine”, “Political Science” (all of them are taught in Ukrainian, Russian and English languages), “Management and Marketing in Health Care”, “Art’s Culture”. During the last years the department has been introducing into the educational process the principles of Bologna Declaration. All the curricula and methodical materials were created according to the principles of Bologna system. Students can use summaries of lectures, plans of seminars and methodical advices for classes (there are electronic versions of these materials). Library has textbooks and training aids in all subjects V.I. Kravchenko “Basics of Economics and Household Practice” (2000); V.I. Kravchenko “Political Science” (2002); V.I. Kravchenko “Political Science for foreign students” (2003); N.M. Martynenko “Political Science. Teaching aids for foreign students” (in English language) (2004); for English-speaking students methodical recommendations for practices in “History of Ukraine” and “History of Ukrainian Culture” by N.M. Martynenko (in English language) (2008); N.M. Martynenko “Arts. Materials for self-study work for foreign students” (in English language) (2008), collections of tests in “Culture Studies” (2008); Т.М. Kaminska, V.I. Kravchenko, A.A. Gromov “Basics of Economic Theory” (2009); Т.М. Kaminska “Marketing and Management in Health Care” (2001); Т.М. Kaminska “Еconomic theory. Lectures. Textbook” (2006); Т.М. Kaminska jointly with other authors “Basics of Economic Theory” (2007), V.M. Lisovyi, I.Y. Robak “History of Health Care in Kharkiv” (under the stamp of Ministry of Public Health of Ukraine) (2008); N.M. Martynenko “International Law” (in English language) (2008), N.M. Martynenko jointly with other authors “History of Modern World and Ukraine” (2008); Т.М. Kaminska, S.S. Grinishena “Lecture Course on the Economic Theory” (in English language) (2009); T,M. Kaminska, “Basics of Economic Theory for medical students. 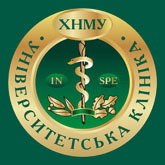 Manual for medical students” (in Ukrainian language) (under the stamp of Ministry of Public Health of Ukraine) (2010); Y. Balabay, N. Martynenko “History of Ukraine. Teaching aid for practical lessons” (2011); V.I. Kravchenko, I.Y. Robak, A.A. Gromov “Political Science: notes of lectures for students. Text-book” (in Ukrainian language) (2012); L.I. Glebova “History of Ukrainian Culture. Summary of Lectures for foreign students” (in Ukrainian language) (2012); I.Y. Robak, T.V. Arzumanova, O.V. Semenenko “History of Ukraine. Series of lectures” (2012); V.I. Kravchenko, I.Y. Robak, A.A. Gromov “Political Science: Summary of lectures for foreign students” (in Russian language); V.I. Kravchenko, N.M. Martynenko, E.O. Gaponova “Political Science: Summary of lectures for foreign students” (in English language) (2012). Lecturers of the department worked out the collection of tests for final module control. Moreover there are a lot of work-books for foreign students in “History of Ukraine” and “History of Ukrainian Culture” (in Russian and English languages). Virtually all the lecturers of our department have got the highest qualification. In frames of complex scientific-research work «Historical, economic, social and cultural aspects of health care development», two doctor dissertations by Kaminska Tetyana «Health Market: formation and trends of development» (2006) (Economy), and by Robak Igor “Historical conditions of health care organization and specific features of its development in Kharkiv (18th – early 20th centuries)” (History) were defended. In 2006 T.M. Kaminska published the monograph “Health Market: the peculiarities of institutional analysis”. In 2007 I.Y. Robak published the monography “Health Care in Kharkiv in the Imperial period (early 18th century – 1916)”. In 2012 I.Y. Robak and H.L. Demochko published the monograph “Health care in the first capital of Soviet Ukraine (1919-1934)”. 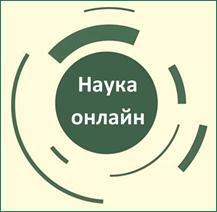 This edition continues the theme of health care organization in Kharkiv. For the last years three candidate dissertations has been defended (by H.L. Demochko, O.V. Chernukha, and Y.V.Balabay). Each year lecturers of the department participate in conferences of different levels (international and regional ones), publish scientific articles in specialized periodic editions, collections of scientific works and materials for reports. Today the department focuses its scientific work on the preparation of candidate researches and continues the investigations of complex scientific-research theme. Now 1 Doctor of Science (in History), 11 Ph.D. in History and Economy, and 4 masters work at the department. The department was established in 1938 and had the name Basics of Marxism-Leninism Department. I.D. Popov was the first head of the department. He has been in charge of the department for 20 years. 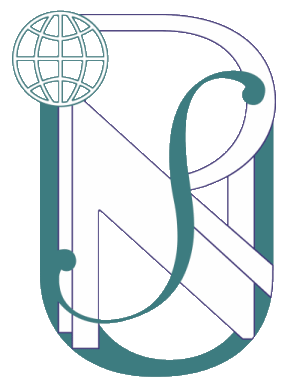 In the second half of 1950s there were some reorganizations of the department. Ph.D. S.V. Bosyi, Ph.D. O.P. Vlasov, and Ph.D. O.S. Tsarytsenko headed the department. By the end of 1970 the department got the name of History of CPSU (Communist Party of Soviet Union), Political Economy and Scientific Communism, and since 1974 the department got the name of History of CPSU and political economy. Ph.D. M.P. Fomichova headed the department between 1970 and 1981, in 1981–1984 Ph.D. R.H. Rudenko between 1984 and 2002 – Ph.D. in Economy V.I. Kravchenko. From 2002 till 2009 Tetyana Kaminska, Ph.D., (from 2007 she became the professor, doctor of science in Economy) headed the department (now she is a professor of National Academy of Law named after Yaroslav Mudryi). Between 2009 and 2011 Valerii Kravchenko was in charge of the department again. Since June 2011 Professor Igor Robak, doctor of science in History, has headed the department.